Euro traders huddle up! 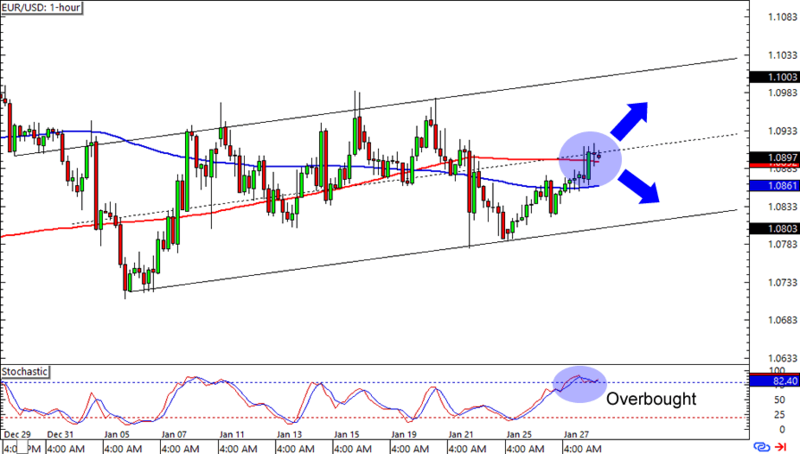 EUR/USD is currently hitting a resistance just below the 1.0900 major psychological handle. What makes this setup interesting is that it lines up nicely with a mid-channel level while Stochastic is chilllin’ like ice cream villain in the overbought area. Are we about to see some losses for the euro? A short around current levels could make for a good trade if you think that the common currency is about to weaken against the dollar. Watch your reward-to-risk ratio though, in case you’ll need to place your stops above the channel resistance to give it some wiggle room. Breakout alert! 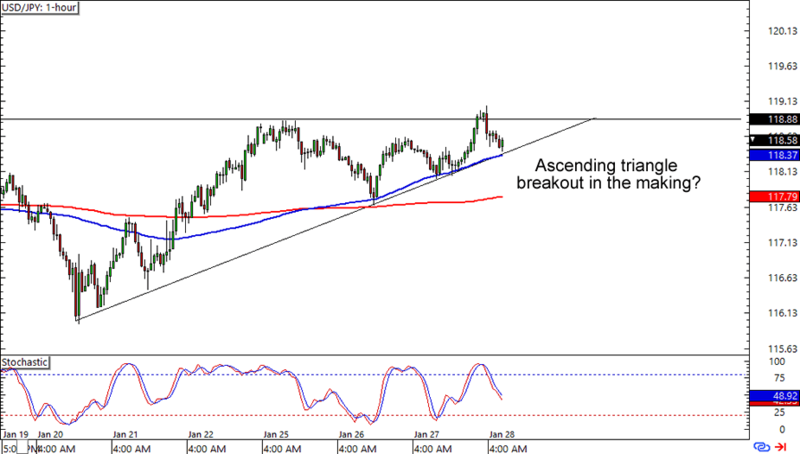 USD/JPY is forming what looks like an ascending triangle on the 1-hour chart. In fact, the pair is currently testing the rising trend line that’s lining up with the 100 SMA. As the School of Pipsology suggests, a break above the 118.88 area could open up a move to 120.00 and beyond. A long trade above the resistance could get you some pips, but you might also want to consider a break-and-retest entry if you’re not sure about the dollar getting more pips on the yen. Read up on trading breakouts if you haven’t tried it yet! Here’s another rising channel for ya! 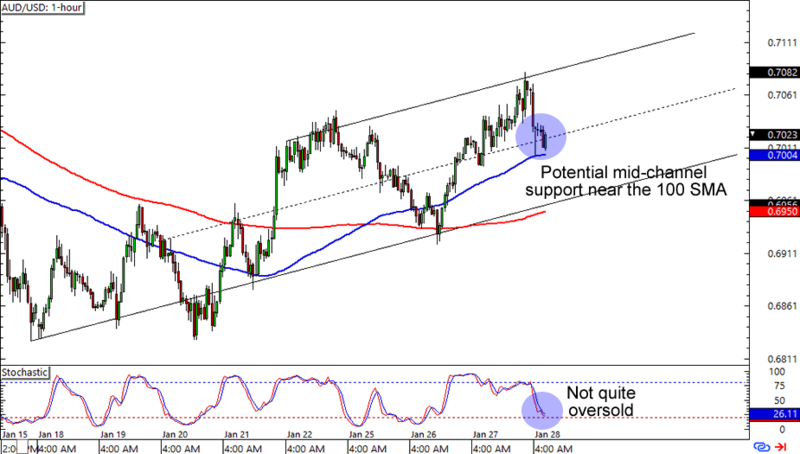 AUD/USD is hitting a mid-channel support around the 100 SMA on the 1-hour chart. I wouldn’t bet on a bounce yet though, especially since Stochastic hasn’t quite hit the oversold territory. You could buy at current levels if you’re confident that the Aussie is about to gain on the dollar, but you could also wait for a couple more candlesticks if you aren’t too sure about a mid-channel trend entry.